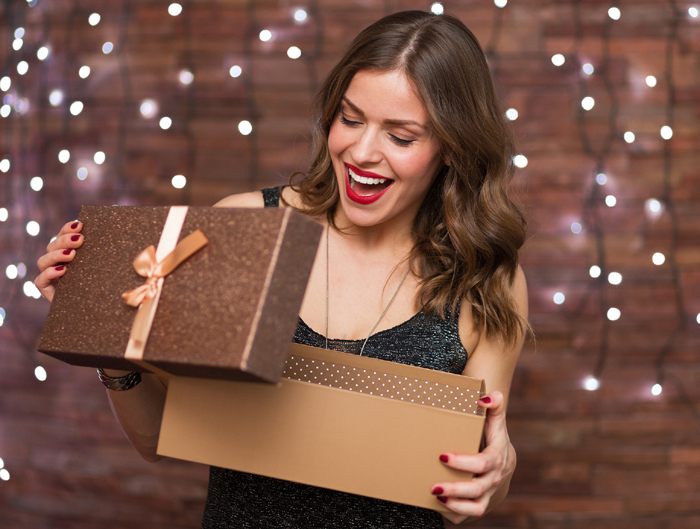 5 Gifts for Women that they would actually love and want! Clueless about what to buy on a Mother’s Day or Valentine’s Day? What to gift your sister on her birthday or her graduation? Every year’s story and so damn confusing, we know!! An endless array of shiny packets, unrealistic price tags and basically zero utilitarian roles! So, what to do? Here’s the foolproof guide to gifts for her that you can definitely take a cue from! So, get rid of gifting anxieties and be steal her heart whenever there is an occasion or when you want to surprise the special women in your life with your love and feelings! A movie night, followed by a dinner or a conversation over a cup of tea! Be it, your mother or special someone, there can’t be a better gift for her than your time! Put your phone aside, turn off the notifications and just let in on her about your life and listen to hers. That’s going to be the best thing you could ever do for her! Usually, we underestimate the value of the time we should be spending with our loved ones. Busy with our friends, work and business emails, we forget to keep an update on people who really matter. While you should be doing this often, starting with a special day to make it more special and memorable will be awesome! There should be some tangible benefits and surprises for her in store on a special day! Don’t you think? The handloom party wear sarees are the perfect pick to surprise her with your thoughtfulness! A saree suits every body type and can be worn for any occasion. Be it for workwear or a wedding, it’s versatile and a must-have for every woman’s wardrobe. If you can’t tell the difference between an authentic handloom and an outstretched fabric, we suggest you buy sarees online. A silk saree online with Silk Mark India is the guarantee of pure and original handloom silk. You can also zero in on soft silk, linen and cotton saree as a gift for her without breaking your budget! Many handloom linen sarees are available in an online saree store under Rs. 2,800! Most underrated yet the most loving gesture out there! You don’t have to cook her a lavish extravaganza in the name of a meal but have to express that you do care! Whip up an instant pasta, a cup of coffee or a glass of wine - to be in her good books! We aren’t talking about space here. These are two different continuums! If your mother doesn’t get enough time to catch up with her friends, you take the front and arrange a meeting. Meanwhile, you can manage the chores that keep her occupied. Similarly, if your wife could really use a massage session but isn’t able to tweak her schedule, go ahead and book that session for you! There can’t be a better way to showcase your love for them, to convey that you pay attention to them and really do care! Inspiration has many forms! It can be in form of the capital she needs to start her own business or a membership for the Yoga class that she needs to join to get fit. Make sure that you are her guiding light in the times when she isn’t at her best. Enigmatic yet so charming- decoding women isn’t that difficult for they love the simplest things to express the most complex emotions and feelings! They would love it when you shower them with extra something on an occasion or to make a moment special!